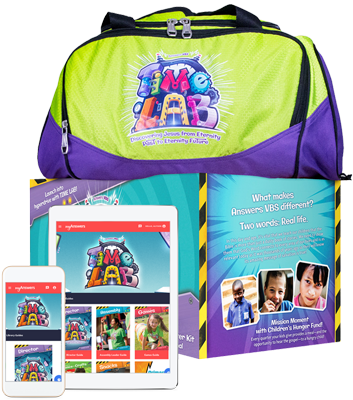 I'm happy to say Answers in Genesis' 2019 VBS arrived at my house the other day, so today I'm sharing it with you. The Incredible Race is the setting/theme with a focus upon one family, one race, one Savior - take a close look at to see if it is a good "fit" for your ministry. Message - "Join The Incredible Race and experience God's love for every tribe, language and nation!" Price - Basic Starter Kit - $99; Super Starter Kit - $189; Super Starter Kit with Digital - $288. As I would expect, The Incredible Race has a strong emphasis on teaching the infallibility of the Bible and salvation through Jesus! I absolutely love the “Go and Do” portion of each lesson where children have specific things to go and do to live what they learned! I'm very happy to see a basic kit option, so churches on a limited budget are able to make this work for them, too! Not a big fan of the puppet portion for each day's Bible lesson. Answers in Genesis says; “Children will discover no matter where we live, what shade of skin we have or what language we speak, we are all part of the same race - the human race - and all part of the same family from Adam and Eve. As they examine the events surrounding the tower of Babel, children will learn God is calling people from every tribe and nation through His Son, Jesus Christ, the Savior of the world. And He wants us to share this good news in kindness and love with our neighbors nearby and far away." 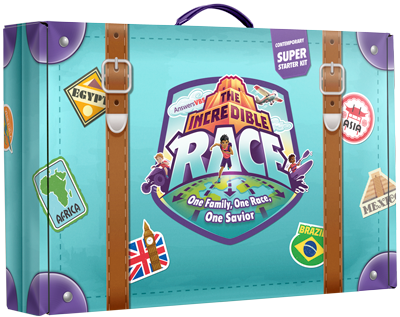 The Incredible Race is an effective resource for VBS - one which will impact and reach children and families for Jesus; and help them understand the truth about how God designed, made and loves everyone. You may also want to look at The Incredible Race as a resource you could use for mid-week ministry . . . Answers in Genesis offers their materials past the end of the summer, so you would still be able to find the components you need.